Many of the ideas and new features on HubPages are suggested by our fabulous authors. Topic Templates is another fantastic Hubber-driven feature. In a Forum post, janderson99 suggested that since HubPages is becoming more and more focused on quality, we should provide our authors with a foundation for creating Stellar, QAP-friendly Hubs! Our answer to this fabulous request is a group of Templates that are created with a specific topic in mind. 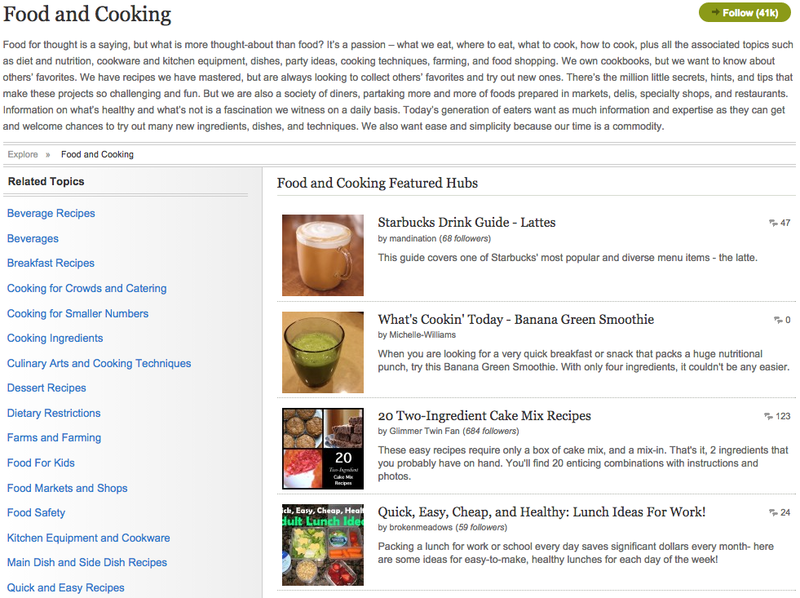 For example, photos are extremely important in recipe Hubs, so we’ve included more Photo Capsules in the Food and Cooking Template as well as Ingredients, Instructions, Cook Time, Ratings, and Nutrition Capsules. While we feel that the Templates are a great foundation, they are also easily edited; moving around, deleting, or adding capsules is the same as it always has been. As an added bonus, we have added tips and lessons about online writing within each capsule. The tips will be shown each time you choose the Template format but are automatically deleted when you edit each capsule. To see all of the Templates or go back to read the tips and suggestions, you can visit our Learning Center entry on Topic Templates where we have provided links to each Topic Template. Ultimately, HubPages is about writing high-quality, long format content and the team at HubPages hope that the Topic Templates will help our new and veteran Hubbers start off with a good foundation. Now that you have your layout, fill those capsules with informative, rich, grammatically correct content; original or legally used and attributed photos; and other engaging media! Thanks janderson for the suggestion! Exclusives and Topics and Rising Stars, Oh My! As Simone has mentioned, she’s leaving HubPages at the end of this month to work on her new business at Gigaverse. The HubPages Team wishes her the very best, and we’ll miss her terribly! I wanted to take this opportunity to inform the community that I’ll be assuming command over some of Simone’s programs when she leaves. 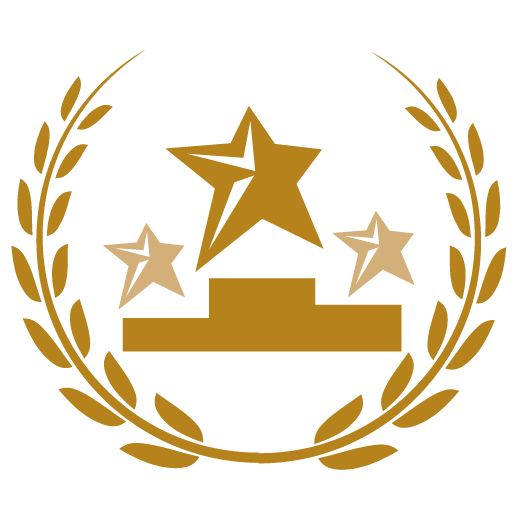 The weekly Rising Star competition, the Topic Expansion Initiative, Exclusive titles, the HubPages Weekly newsletter, and social media sharing are a few projects I’ll be working on. Please feel free to email me with new Topic requests, Exclusive title issues, potential Hubs of the Day, and of course, shameless flattery. Here’s a little about me: Some of you may already know me from the old Weekly Topic Inspiration program. 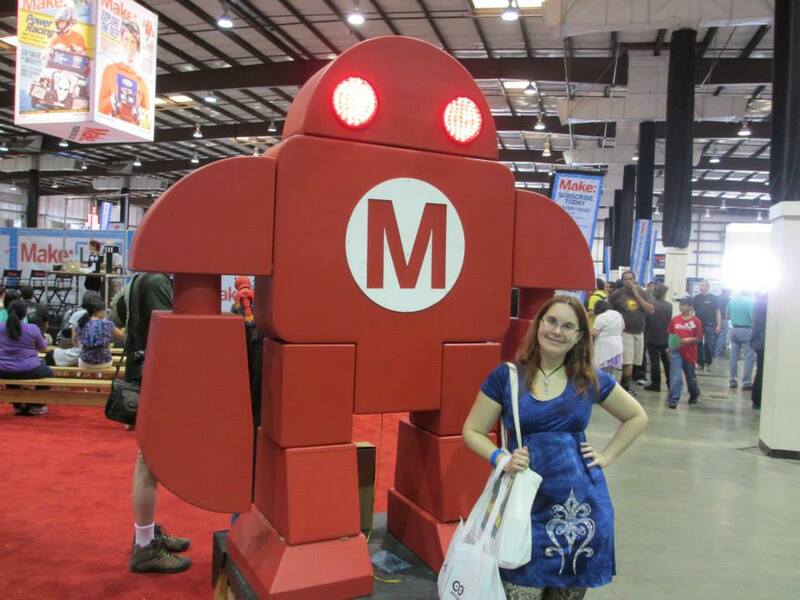 I’ve been part of the HubPages Team since July of 2012, and I’m also a dedicated and enthusiastic fellow-Hubber. I’m very proud to have just completed the Apprenticeship Program. I have a History degree from UC Santa Cruz and I’ve been a resident of the San Francisco Bay Area for the past 8 years. I’m delighted to have the opportunity to work more closely with the community! Oh, and I collect robots. What’s more, if you publish a Hub in a very specific leaf-level page that does not have many other Hubs, you will also have better odds of getting your Hub featured on the first ‘page’ of that Topic Page, which leads to more exposure and readers. How can I categorize my Hubs as accurately as possible? You can easily ensure that your Hubs are under the best possible Topic by taking a few moments to review the Hub Topic suggestions in the Hub Tool when you create a new Hub. If none of the Topic suggestions make sense, you can manually select the Topic you think is the better fit or run some searches using related keywords to see if the best-fitting Topic uses a different set of words than those used in your Hub’s title. Why are the suggestions sometimes wrong? Our Hub Topic suggestions are created using keywords, which means the suggestions are sometimes inaccurate (occasionally wildly so). For example, if I want to create a skateboarding Hub entitled “How to Do a San Francisco Flip,” our “Search” function for Topic suggestions has no way of knowing that “San Francisco Flip” is the title of a skateboarding move. None of the suggested Topics that show up involve skateboarding. Does categorization really matter that much? Yes. You may have written the best carburetor installation Hub of all time, but if it’s categorized under Wire Wrap Jewelry, you’re losing all the readers who land on the Fuel System Topic page looking for Hubs just like yours. Don’t miss out on that audience! As part of our ongoing Topic Expansion Initiative, we’ve been expanding overcrowded Topics here on HubPages. Our latest expansions have focused on Family and Parenting, and we’d like to highlight some of the changes and improvements. Language Development and Laziness in Teens do not have links because they have not reached the Hub threshold to receive their very own Topic pages yet, which makes them a great choice to write about (You can still choose those Topics under the Hub Topic option when you create a new Hub). Language Development and Laziness in Teens will get their own pages with just a few more Hubs, and since they aren’t very full, your Featured Hubs are sure to show up on the first page. The major changes in Family and Parenting are finished for the time being, though we may occasionally slip in a few more improvements. Stay tuned to hear about our ongoing progress elsewhere in the Topic Tree. We mentioned previously that HubPages is working on an expansion of overcrowded Topics to enhance the site’s organization and provide more categorization options for Hubbers. In this post, we’d like to highlight some changes and improvements in Personal Finance. We hope you’ll have fun browsing the new Topics and that you will help us fill them up with high-quality Hubs. (Check out our Topic descriptions at the top of the Topic pages too. We occasionally sneak in the odd bit of trivia or humor.) 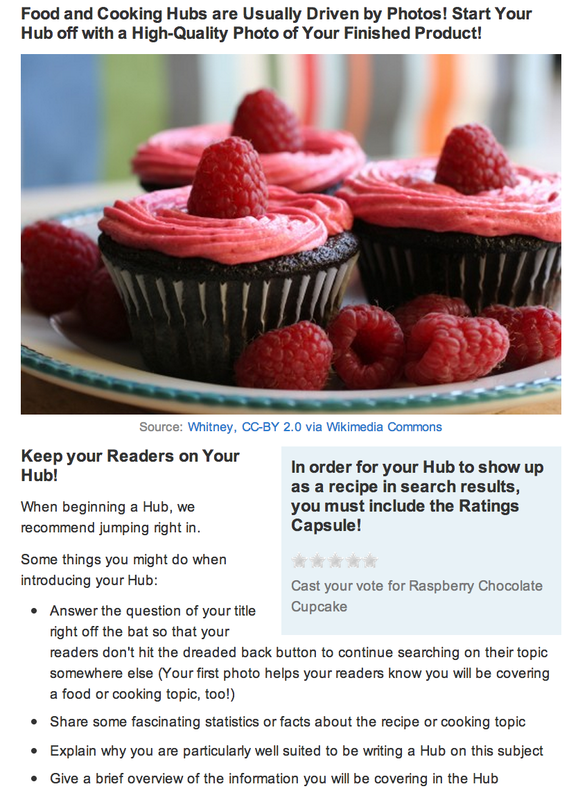 If you’re looking for a subject to write about, new Topics are a great choice; since they will have less Hubs initially, your featured Hubs are more likely to show up on the first page. With these new changes, the dust has settled in Personal Finance for a while, but the Topic Expansion process is still full swing elsewhere, so look for more improvements to come. 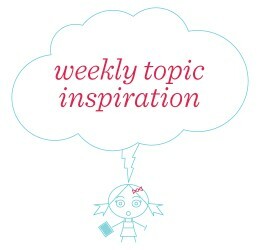 We’re Adding a Fresh Twist to Weekly Topic Inspiration! As you may have read in an earlier blog post, the lovely Christy Kirwan is expanding our Topic Page ecosystem, adding fun new Topics every day. To raise awareness about the cool opportunities these new Topic Pages provide (they’re not nearly as crowded as older Topics, in which your chances of being Featured on the first page are pretty low) and to encourage people to publish Hubs on niche subjects (that are not already extensively covered online), we are shifting our focus of the Weekly Topic Inspiration program so that each week’s theme revolves around one of Christy’s newly-created Topics. Aside from the weekly release date moving to Tuesdays (it has historically been on Mondays) and removing suggested titles from the forum threads (they were seldom used and it’s best to practice creating your own high-potential titles), nothing has changed. For more information on participating in the Weekly Topic Inspiration challenge each week, stop by our Official Learning Center guide on the program and consider joining in on this week’s new challenge (with a super fun focus on beards, mustaches, and facial hair)! The Great Topic Expansion is underway at HubPages. Topics are being expanded daily to fit the needs of a growing and prolific community of talented Hubbers. Overcrowded Topics are receiving special TLC and new categories are being created based on common writing trends. Topics that have already undergone significant improvement include Personal Finance, Family and Parenting, and Business and Employment. Our current focus is Health, so expect to see the newest changes there (but we occasionally sneak in some improvements elsewhere too). The next time you don’t know what to write about, consider addressing one of these fun subjects! After redesigning the Hub and Profile pages, the hard working team at HubPages Headquarters has turned their focus to Topics and special programs, hence today we are excited to roll out new designs for Topic Pages and HubNuggets Program, as well as an updated About page and some improved Forum styling. Topic pages have been given a sleek fresh styling by Derek Gulbranson that has been expertly implemented by Edward Zhang. Though most of the elements present on the pages remain the same, the page now has a greater emphasis on images, as well as a more tangible feel (see, for example, the shading that makes these pages look like open books). Because HubNuggets voting takes place on Topic Pages, we took the Topic Page redesign as an opportunity to update the HubNuggets program as well so that it can be easier to interact with and more clear to those who are not yet familiar with the more esoteric ins and outs of the high power HubPages community. This design update includes a new voting interface on Topic Pages (also designed by the Venerable Gulbranson), as well as some logistical changes (voting will no longer also take place in a roundup Hub). Finally, to make the program more clear, we are changing its name from HubNuggets (which, while meant to evoke the sense of discovering nuggets of gold on HubPages, often evoked mental images of chicken nuggets) to the Rising Star program. Hence “HubNuggets Wannabes” will henceforth be known as “Rising Star Candidates” and HubNuggets winners will be known as Rising Stars. You can learn more about the new program in the Learning Center. In addition to significant stylistic changes with Topic Pages and the HubNuggets Program, you’ll also see that our About page now offers more of an explanation of what HubPages actually is (before, it focused primarily on staff bios) and also has a much more visually-oriented presentation. Derek has also applied some more polished styling to forum posts by giving them a gradient and a drop shadow as well as making them a bit easier to expand and collapse. For a more detailed explanation of these areas, listen in to this week’s podcast (Choosing Topics to Write About). Here’s hoping your writer’s block is short and fleeting. Is there some other online writing issue that is keeping you from happily writing new Hubs? Tell us about it! Email questions, comments, and suggestions for future podcasts to podcast-at-HubPages-dot-com. Do you want your online writing to have a shot at really doing well? If you do, you’ll have to write the best article on your subject that’s out there- something that blows the existing competition out of the water. In this episode of the Online Writing Insider (Researching Competition), Robin and I share how to research your competition before writing an article online. Doing so can make a huge difference, and may also spare you from writing on a subject that has already been exhausted online.